P aper’), by the The Wildlife Trusts and the RSPB. The comments thread makes reference to work of mine by the anonymous ‘todaysmysteryguest’, writing on Jan 8th (for which many thanks!). The comments respond to a letter by the The Wildlife Trusts and the RSPB, which in turn responds to a blog post critiquing the uses of ‘natural capital’ and ‘ecosystem services’ language and thinking in the Green Paper, as well as a 38 Degrees petition started by the author of this post, Ginny Battson, requesting that such language be removed. I am broadly in support of the Wildlife Trusts’ (WTs) and RSPB’s Green Paper. In particular, I agree that it is immensely important to celebrate the systemic connections between ecological and human well-being – a context affirmed in various UK government documents including the Lawton report (2010), the UK’s National Ecosystem Assessment, and DEFRA’s White Paper on the Environment (2011). It also seems appropriate that an advisory non-departmental public body – perhaps an ‘Office for Environmental Responsibility’, as proposed in the Green Paper – be established to take forward the monitoring and integration challenges and commitments identified in the above government interventions. we believe that one of the most profound reasons for nature’s decline is the inadequate consideration for nature within decision-making processes at all levels of government and in many parts of business. At the moment nature is almost always ‘trumped’ by the language of ‘profit’, ‘growth’ and ‘jobs’ – often overlooking the many ways that it supports us all, including, ultimately, our jobs and economy. has led to the unsustainable over-exploitation of the unvalued and undervalued elements of the environment for short-term gain and has resulted in their accelerating degradation over time, reducing their ability to produce future human wellbeing (p. 21). There are different ways of thinking about this, however. First of all, are we being asked to vest all power for valuation to the allegedly self-regulating capacity of markets, such that it is only when some aspect of nature is visible to and even traded in markets that it is valued? Doesn’t the established propensity for market-driven behaviour to under- or de-value ‘nature’s values’ imply caution in asserting exchangeable values for the natural environment as a means of addressing the failure of markets to be kind to ‘nature’? Isn’t there a stronger role for government here? – to act so as to protect natures and peoples from such ‘market failures’ through regulation and taxation that reduce problematic consolidations of growth and profit; perhaps exactly through providing stronger ecological and human well-being reasons for preventing destructive developments associated with such growth. Instead, what we are seeing is an immense amount of work by both private and public sectors to make nature, or at least numbers considered to represent particular measures of nature, more and more visible in economic models and accounts. But this in itself will not prevent the liquidation of thus-calculated ‘nature’s assets’. Such prevention is the stuff of political choice and action based on different sorts of values. The government’s Natural Capital Committee (NCC) is ‘developing methods to measure and monitor the health of nature and ecosystems at a national level so that we can determine whether as a society we are having a positive or negative impact on it, and action can then be taken accordingly’ (as affirmed in RSPB’s and WT’s response to Battson’s post). Such calculations, however, are not enough to encourage different and enforceable practices of governance – by either government or business – towards the natural world. It is unclear, for example, how exactly the new set of ‘natural capital’ categories and metrics devised by the NCC will enhance existing practices of ecological assessment, or translate into care for the emergent and exacting vitality, variability and dynamism of real species and ecosystems. Natural capital refers to the elements of nature that produce value (directly and indirectly) to people, such as the stock of forests, rivers, land, minerals and oceans’. The value that nature produces for people is highly varied and situated (so who chooses which value to value?). At the same time particular land-, river- and marine-scapes can generate multiple values for different people, values which may sometimes be in conflict with one another. Choices for which natures to value, and how to do this, thus are lodged firmly in the arena of power and politics. New economic frames and practices of valuation are likely to privilege particular types of calculative expertise and may consolidate inequitable accumulations of the nature values thus calculated. There are also aspects of nature that do not noticeably ‘produce value to people’. Are these not then valuable? These observations, of course, are nothing new, and some are also made in the NCC’s writings. But questions remain. Why and how exactly are ‘natural capital’ and ‘ecosystems services’ constructions of ‘nature’ better than other ways of considering nature’s value? Are economic accounting models appropriate for creating and calculating ecological values? And if ‘[n]atural capital therefore includes all elements of the environment, including natural resources, that provide benefits to people now and in future’ (albeit with some stated exclusions – the NCC names the sun as amongst these), then are natural capital accounts able to generate measures for all these present and future benefits? It seems certain that the registers, categories and partitions of ‘natural capital accounts’ will create their own externalities and overflows, since this is in ‘the nature’ of such calculative models. Natural capital accounts cannot in themselves redress the fact that economic models and analyses create externalities. There are always ‘outsides’ to the simplifying grids of such models. The particular language of ‘natural capital’ and ‘ecosystem services’ affects how we understand and relate with the multiple selves of ‘the natural environment’. Herman Daly’s article linked to in Ginny’s original post observes that the term ‘capital’ derives from ‘capita’, meaning head of cattle. In the case of cattle biological and ecological constraints bear on productive dynamics. Such dynamics are intrinsically relational, embedded in the particular characteristics of environmental contexts. Commercial dairy herds in the soft, moist hills of Somerset and Devon are starkly different to the hardy cattle of nomadic pastoralists in the unpredictably varying drylands of Africa (such as north-west Namibia where I conduct research). When such particularities are conceived as stocks of ‘natural capital assets’, with ‘capital’ and ‘assets’ also conveying common understandings as wealth that can be calcuated and accumulated in monetary terms, we are embarking on a process of abstraction and homogenisation that lifts us away from what is particular about such contexts. Indeed, a key intention of natural capital accounts is to calculate ‘natural capital’ in the aggregate (i.e. overall) in such a way as to permit subsitutability between the calculated values for different types of capital, as well as between different types of ‘natural capital’. This paves the way for losses and gains to be exchanged between these different ‘capitals’, such that ‘no net loss’ allegedly occurs in aggregate. ‘Natural capital accounting’ abstracts the productive dynamics of nature into a ‘stock of natural capital assets’, conveyed in the specific numerical monetary values that can be factored into treasury and/or business accounts alongside columns for other monetised capital values and costs. Through this process nature calculated as natural capital assets is indeed being made more legible in monetary terms. The question I ask myself here is this. When we convey nature in monetary terms, is it nature that we value or is it money? This is a deceptively simple question. These valuations and calculations effect multiple acts of translation that turn ‘nature’ from a series of particular, complex, dynamic, and interacting constituents, into a universal category (money) that is capable, at least conceptually, of being part of generalisable exchanges. Natural capital accounts in the UK context thus propose potential substitutabilities between ‘land use categories’ for areas of land used as ‘units of accounting’, between different units of ‘natural capital’, and between sites of development and sites of enhancement calculated using biodiversity offsetting metrics. The intention is that aggregate measures of ‘natural capital’ are maintained, even as losses are justified through the possibilities offered by substitutability. The WTs and RSPB clarify that they are not proposing or supporting any pricing, buying or selling of natures thus accounted for as ‘natural capital’. But there are signs that this sort of leveraging of ‘natural capital assets’ is exactly what follows accounting practices considered to enhance the economic visibility of these assets. Indeed, the second working paper of the NCC on ‘corporate natural capital accounting’ introduces this as a methodology to enable landowners to recognise the full natural capital values of natural capital ‘assets’ and ‘liabilities’ under private ownership (i.e. two-thirds of Britain); and provides a methodology for converting these values and the ecosystem flows they generate into monetary terms. For large landowners there may be considerable gains from leveraging and selling newly legible ecosystem services and various offsets from lands they own. In written evidence submissions to the UK Parliament Environmental Audit Committtee’s inquiry into biodiversity offsetting (2013), the large landowner and construction company Lafarge Tarmac, as well as the Mineral Products Association (representing large landowners and mineral-based extractive industry), both affirm interests in becoming providers of biodiversity offsets on their land, if the price is right. In such contexts calculated monetary values for ‘natural capital assets’ may act in nature’s favour by discouraging conversions to more destructive land uses. But questions also arise regarding the consolidations and accumulations of privately owned capital(s) supported by such accounting practices, and the inequality on which they are based. Inequitable land ownership in Britain, in combination with a disproportionate capture by large landowners of farming subsidies based on taxation, does not feature in the Green Paper as amongst the factors reducing well-being amongst communities by limiting access to natural areas, but surely is relevant. I have great appreciation for the work of the RSPB and the Wildlife Trusts for the direct relationships they sustain with varied and emplaced species, habitats, and ecosystems, their encouragement that diverse peoples enjoy access to these natures, and their emphasis on science-based evidence on which to make decisions. Much of their Green Paper stresses all of these dimensions. Their embrace, rather than contestation, of ‘natural capital’, ‘ecosystem services’ and ‘no net loss’ thinking, however, seems confusing. These approaches do not necessarily encourage better behaviour and practices by peoples in relation to natures. They may, in fact, offer an increasing array of technical justifications for causing particular losses. 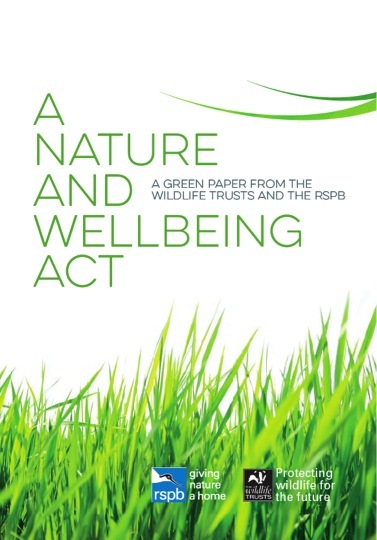 The Wildlife Trusts’ and RSPB’s Green Paper opens by asserting that ‘our environment is under more pressure than ever before’ and that we need ‘fundamental changes in how we value, use and interact with our natural world’. I agree. But I would question whether wrapping natures’ values further into financial accounts and balance sheets is either the most ecological, or the most equitable, way forward in terms of generating these fundamental changes. Sullivan S. 2014 From legibility to leveragability in performing nature as natural capital. Sullivan, S. and Hannis, M. 2014 Nets and frames, losses and gains: Value struggles in engagements with biodiversity offsetting policy in England. LCSV Working Paper 5. I am also working on a monograph entitled The Natural Capital Myth: Nature, Finance, Values to be published by MayFlyBooks. Comments and/or reality checks are welcome! cf. Helm, D. 2014 Taking natural capital seriously. Oxford Review of Economic Policy 30(1): 109-125, p. 109. Mace, G. 2014 Towards a framework for defining and measuring changes in natural capital. https://www.naturalcapitalcommittee.org/working-papers.html NCC Working Paper, p. 2. See, for example, Smith, N. 2007 Nature as accumulation strategy, pp. 16-36 in Panitch, L. and Leys, C. Coming to Terms with Nature. London: Socialist Register, The Merlin Press. Moreover, for ‘traditional’ pastoralists in multiple global contexts, the translation of ‘head of cattle’ into the more abstract ‘stock’ of cattle in itself effects a violent reduction of the complexity of biographical knowledge and poetic celebration that pastoralists tend to have with each individual animal. For a full discussion of these points, see Helm op. cit. As in Mace, op. cit. . p10. Mace, op. cit. p. 6, following the newly invigorated UN System for Economic and Environmental Accounts (SEEA). See DEFRA guidelines on biodiversity offsetting; Helm op. cit., pp. 118-120; see critique in, for example, Hannis, M. and Sullivan, 2012 Offsetting Nature? Habitat Banking and Biodiversity Offsets in the English Land Use Planning System. Dorset: Green House. See, for example, Carbon Trade Watch, Counter Balance and re:Common 2014 The Natural Capital Financial Facility: a window into the “green” economy. Mayer, C. 2014 Introduction to the Natural Capital Committee’s Corporate Natural Capital Accounting Project, NCC Working Paper. See discussion in Sullivan, S. and Hannis, M. 2014 Nets and frames, losses and gains: Value struggles in engagements with biodiversity offsetting policy in England. LCSV Working Paper 5, p.15. Similarly, the mining conglomerate Rio Tinto, with IUCN, thus has been ‘exploring opportunities to generate marketable ecosystems services on land owned or managed by the company’, including ‘potential biodiversity banks in Africa, as well as the opportunity to generate marketable carbon credits by restoring soils and natural vegetation or by preventing emissions from deforestation and degradation’. See, for example, Bishop, J. 2008 Building Biodiversity Business: Notes from the Cutting Edge, Sustain 30: 10-11, p. 10, discussed in Sullivan, S. 2009 An ecosystem at your service? The Land, Winter 2008/9: 21-23; The embrace by Rio Tinto of biodiversity offsetting as a potentially significant business opportunity is discussed in Benabou, S. 2014 Making up for lost nature? A critical review of the international development of voluntary biodiversity offsets. Environment and Society: Advances in Research 5: 103–123. Probably the best articulated critical examination of the term and concept of ‘ecological services’ I have yet read. Than you, Sian. I’ve only just seen this kind comment – thank you so much! This is a very interesting article. I will definitely return to this site. I also believe that one of the most profound reasons for nature’s decline is the inadequate consideration for nature within decision-making processes at all levels of government and in many parts of business.Thanks for sharing this article.